Where is it? 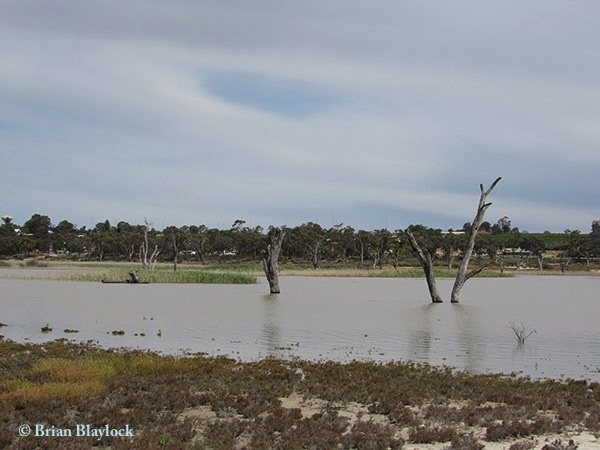 : Hart Lagoon is on the outskirts of Waikerie between Ramco Road and the River Murray. There is a bird hide at the south-eastern end of the lagoon. 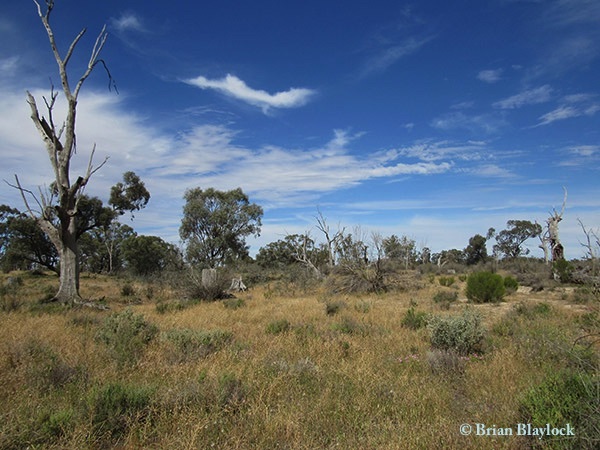 History: The wetland has been managed by Hart Lagoon Wetland Group (Riverland West Landcare) since 2004 with assistance from Natural Resources South Australian Murray-Darling Basin. 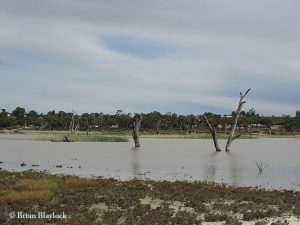 Habitat: The area has salt bush (Atriplex spp.) with samphire on the margins, there are also patches of isolated reeds and sedgeland along the wetland margins, with open woodland of River Box (Eucalyptus largiflorens) / River Red Gum (E. camaldulensis) and shrubland on the surrounding higher floodplain.